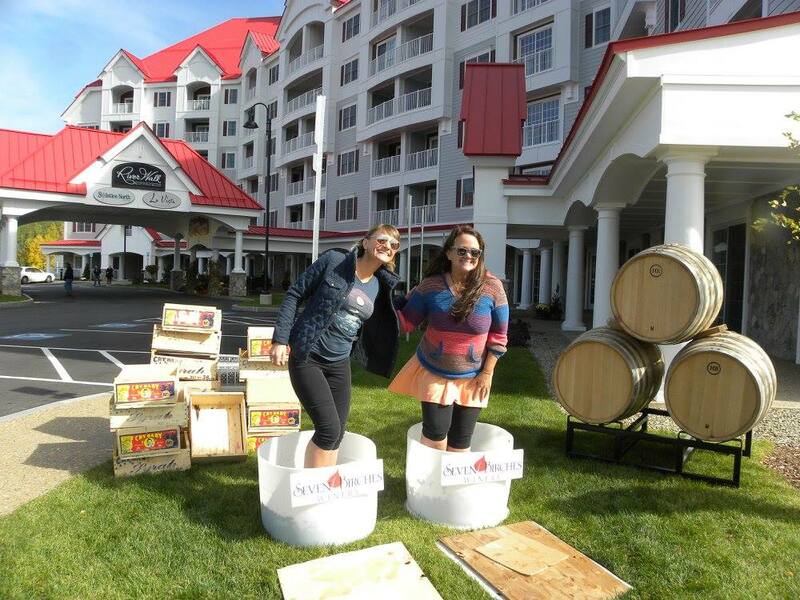 We had so much fun last year with our first annual White Mountains Crush wine festival, and we are THRILLED to announce the return of the event on Saturday, October 21, 2017. Mark your calendar – it’s two weekends after Columbus Day! White Mountains Crush Festival pays homage to the end-of-growing-season festivals enjoyed on vineyards in France and California. Workers and laborers come in from the fields to celebrate all their hard work with drinking (of course), feasting, food fights and grape stomping! These grape festivals are celebrations of the year’s harvest, marking the end of growing season and the start of wine-making season. This time is traditionally known as crush. Seven Birches Winery will be giving extended wine tours with the winemaker throughout the day. Tour-goers will learn how the wine is made, receive wine tastings from the top of the wine barrels, and get the inside scoop on RiverWalk Resort and its future plans. La Vista Italian Restaurant will be joining us to provide a family-style dinner feast and wine pairing outside on the veranda. La Vista provides hand-crafted, locally-sourced authentic Italian cuisine. 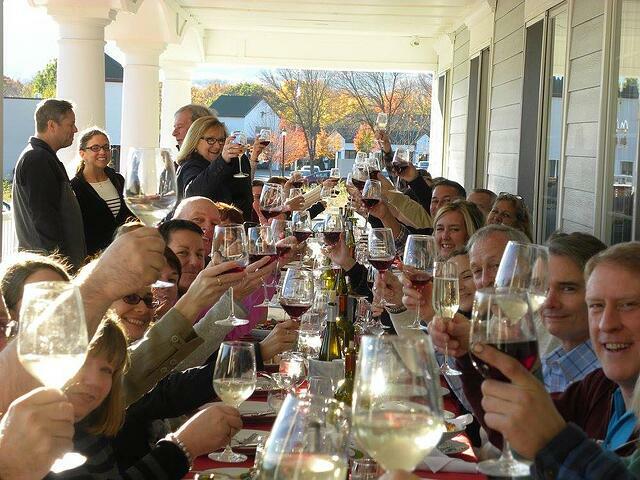 Sommeliers will pair the food with just the right Seven Birches wine tastings as it is being served. Other games and activities will take place outside by RiverWalk Resort’s state-of-the-art heated pool. Musical entertainment will last throughout the afternoon outside, so you can take a break (with a favored glass of wine, of course) on the veranda, and enjoy the beauty of the White Mountains while you listen to the music. Wine enthusiasts who are looking to make a whole day of it will be pleased to note that La Vista will also be serving an outdoor lunch on the veranda at noon. The cost to “Stomp Like Lucy” is $20, which includes your grape-feet souvenir t-shirt. 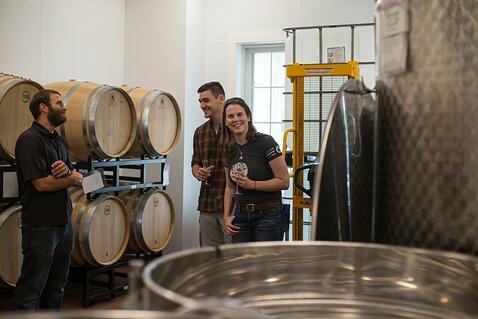 Winery tours are $20 per person and includes a wine tasting. Lunch will be $40 and dinner $60 –prices include the wine to be served and paired with each course. Packages are available for those joining us for the whole day. Keep an eye on the Seven Birches website or subscribe to RiverWalk Resort’s e-mail newsletter to keep up to date on resort happenings and reserve your spot at the second annual White Mountain Crush Festival! Let’s celebrate and raise a glass to this year’s harvest and next year’s wine!